Blepharitis is when the rims of the eyelids become inflamed. This can make your eyes red, irritated and itchy. Dandruff-like crusts can appear on your eyelashes. Blepharitis can be caused by bacterial infection or can be a complication of skin conditions such as seborrhoeic dermatitis (a skin condition that can cause itchy rashes on the skin and scalp). When seborrhoeic dermatitis affects the scalp, it’s called dandruff. Another associated skin condition is rosacea, which causes the face to appear red and blotchy. At Zacks Eye Clinic, our optometrists can provide advice on managing and treating blepharits. Evaporative dry eye frequently occurs because the meibomian (oil) glands located in the eye lids are blocked or abnormal. The oily tear layer breaks down allowing the watery tears to evaporate. If the main problem is a blockage of the oil-secreting glands, then the condition may be called posterior blepharitis or meibomian gland dysfunction. Blepharitis is a chronic condition, meaning that once it develops you’ll probably have repeated episodes. There is no cure. However, there are a range of treatments that can control the symptoms. The most important one is to establish a daily eye-cleaning routine. Soak a new cotton pad in warm (not too hot!) boiled water and apply to each eye for 10 minutes. Alternatively, commercially available heat pads can be used. Gently clean along the lid margin and remove any debris from the lashes. Commercially available ‘lid wipes’ are widely used. Alternatively a cotton bud with warm boiled water and a ‘drop’ of baby shampoo or a ‘pinch’ of sodium bicarbonate can be used. 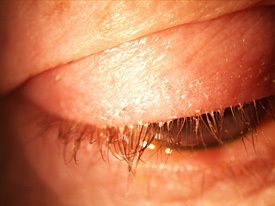 More severe cases of blepharitis may require the use of antibiotics. It is estimated that blepharitis is responsible for 5% of all eye problems that are reported to GPs. It is more common in older adults, but can develop at any age. Other complications of blepharitis include styes (a pus-filled swelling in or on the eyelid) and conjunctivitis (inflammation of the eye). The condition is not normally serious. 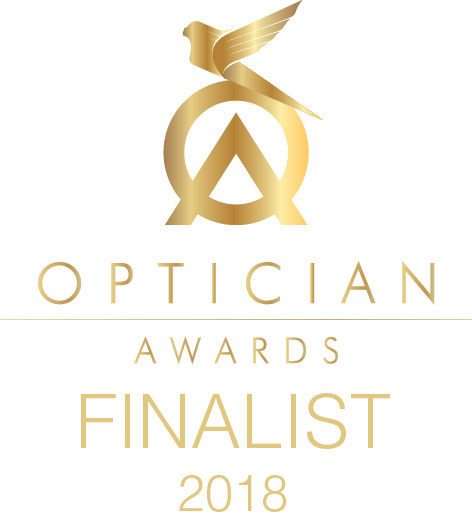 Serious complications such as sight loss are rare, especially when you follow the recommended advice.